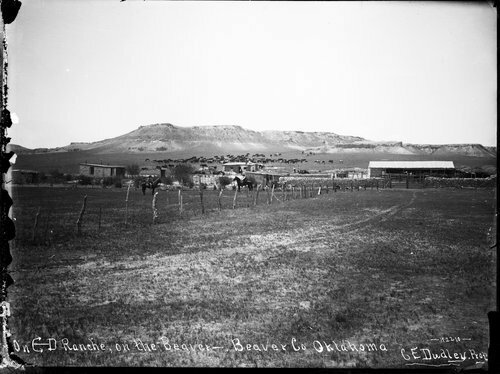 This photograph shows a view of the C-D Ranch, C. E. Dudley proprietor, in Beaver County, Oklahoma. There are two men riding horses in the center of the image and several men watching cattle in the background. A bluff and outbuildings are also visible.